New technology has opened the doors to a whole new world of opportunities, but it has also brought new ways for the dishonest to scam financial institutions. Bank fraud is every person’s nightmare because it happens within the bank’s system, and it has to have already happened for the customer to discover it. Bank fraud is paid in two ways – either by the victim or by the financial institution. In order to catch these criminals, theft investigators are found inside and out of the institution. Bank fraud is one of the most expensive white collar crimes in Orlando. Financial institutions in this city are robbed annually to the amount of $835,000,000 and some of the many ways this happens is by using bad checks, deceitfully entering false bank envelopes for instant small loans, using other account numbers, identity theft, and fraudulently obtaining securities, assets, credits or other finances from within the financial institution. The US Code defines bank fraud as anyone who knowingly schemes or defrauds a financial institution, bank or credit agency. 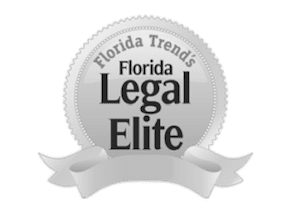 If you have been accused or arrested of bank fraud in Florida, fines range to $1,000,000, or 30 years in prison, or both if you are found guilty and you will need a reputable fraud lawyer. If you were convicted of forgery or altered checks, fraudulent accounting, or constructing false companies for the primary reason of theft by accepting uninsured deposits, using employees in false transactions, signing fraudulent documents and loan applications, wire transfers, or stolen payment cards, then protect your name, and stay out of jail with an experienced fraud law firm. Bad checks can be either a misdemeanor or a felony, depending on the value of the check that you passed. If you just accidentally don’t balance your checkbook and a check bounces, that’s not a crime. If they can prove that at the time you wrote the check you knew you didn’t have the funds, it is a crime. The primary concern is just to get the funds to whomever you wrote the bad check to. If you can pay it all off and you have no priors, it is possible that an attorney can get you into a diversionary program, which after you settle various conditions and pay the money back with the result of the case getting dismissed, you have the opportunity to take a further step and expunge it from your record. Since there is the fact that you have to know that you didn’t have the funds at the time you wrote the bad check, you may have a defendable case. You’re going to want to talk to an attorney, explain the situation, and see what we can do to resolve your case in the fairest way possible. There is no end in sight to the technological deceit of bank fraud and those wrongly accused need a fraud attorney in Orlando and a reputable law firm to provide the best possible criminal defense that suits your needs and case scenario. If you suspect fraud in a personal financial account, immediately contact the fraud department of that bank. To determine if your bank is insured, or if you are responsible for the debt, look for your bank on the National Bank Operating Subsidiaries list.